Copies of W-2’s for the last two years. Copies of paycheck stubs for the last 30 days (most current). Copies of checking and saving account statements for last three months (all pages). Copies of quarterly or semi-annual statements for checking, savings, IRAs, CDs, money market fund, stock, 401k, profit sharing, etc..
(address any gaps of employment). Residency history over the last two years, with name, phone number, address and account number of Land or Mortgage Company. Rental property copies of leases plus mortgage information. Cancelled earnest money check when it clears or corresponding bank statement, if applicable. Commissioned or bonus income if 25% or more of base, must have tax returns. Check for the expense of appraisal & credit report. Refinance – Copy of Note, Deed of Trust, Settlement Statement, Survey, and Insurance information. Any assets used for down payment, closing cost, and cash reserves must be documented by a paper trail. If paid off mortgage in the last 2 years, need copies of HUD- 1. Copy of drivers license for applicant and co-applicant. Copies of most recent 2 years tax returns (with all schedules including k-Is if applicable). Copy of current profit & loss statement and balance sheet. Copy of corporate/partnership tax returns for most recent 2 year period if owning 25% or more of company copies of W-2s and/or 1099 forms. Previous bankruptcy, need copies of petition for bankruptcy and discharge, including supporting schedules. Documentation supporting moneys received from social security/retirement trust income, i.e. copies of direct deposit bank statements, awards letter, evidence income will continue. All lease agreements, HUD’s, tax and insurance information on any property acquired that is not listed on your recent tax returns in schedule E.
Once you have compiled all of your personal information needed to send to us, you may do so many ways. You can mail, emails (Scan Documents) or fax to a toll free fax at 855-326-6801. All are very secure. Most people would prefer to send their documentation electronically buy don’t trust emails. They would prefer to use their own type of shares documents folder like Dropbox, Box, Google Docs, etc. At Highlands Residential Mortgage we understand your concerns and that is why we have developed our own very secure sharing systems that works very much the same way, but is created specifically for each borrower. 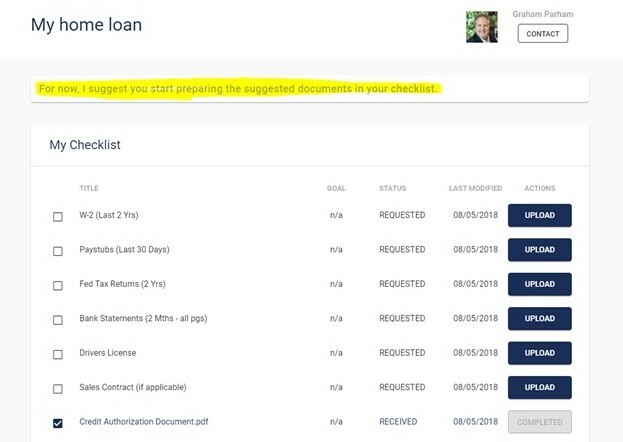 (Loan Application Required) Once you we have a loan application, you can secure upload (ONLY) from you personal dashboard system. © 2016 New Mexico Investor Loans/Graham Parham. All Rights Reserved.